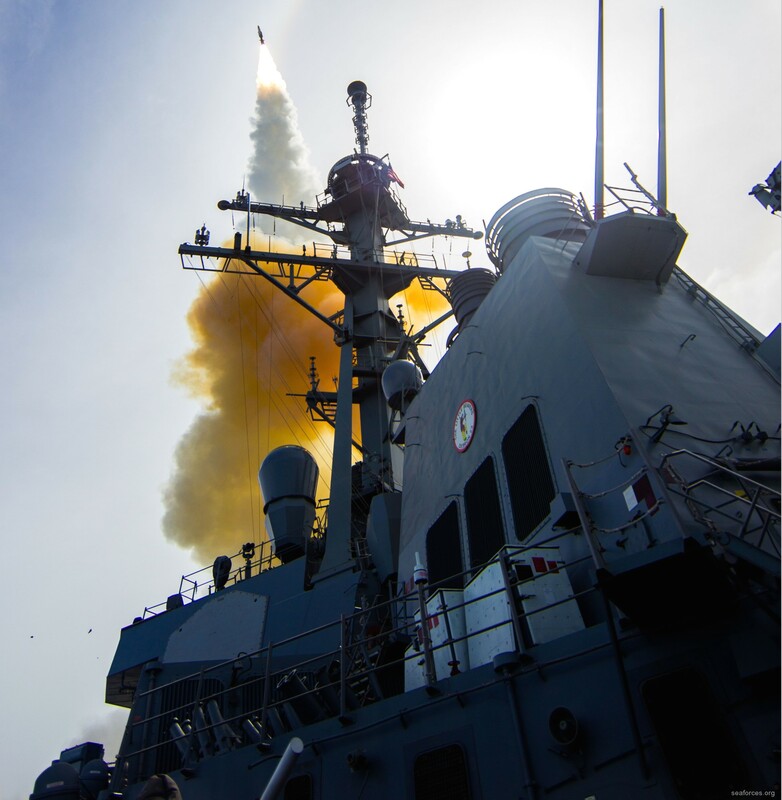 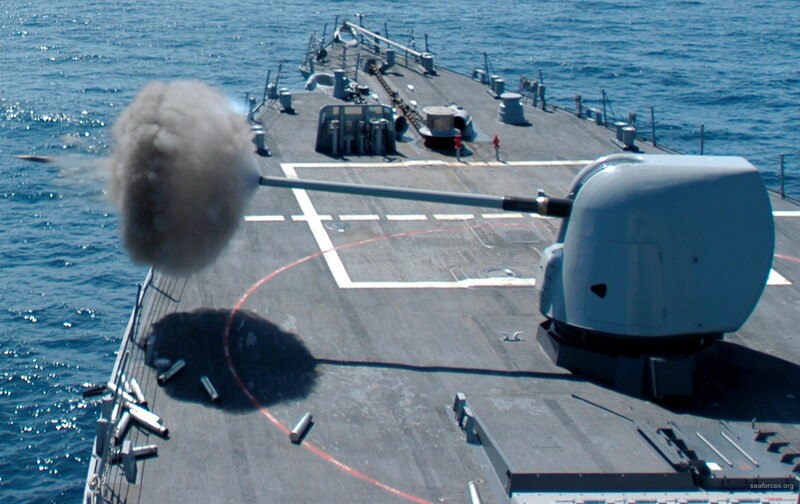 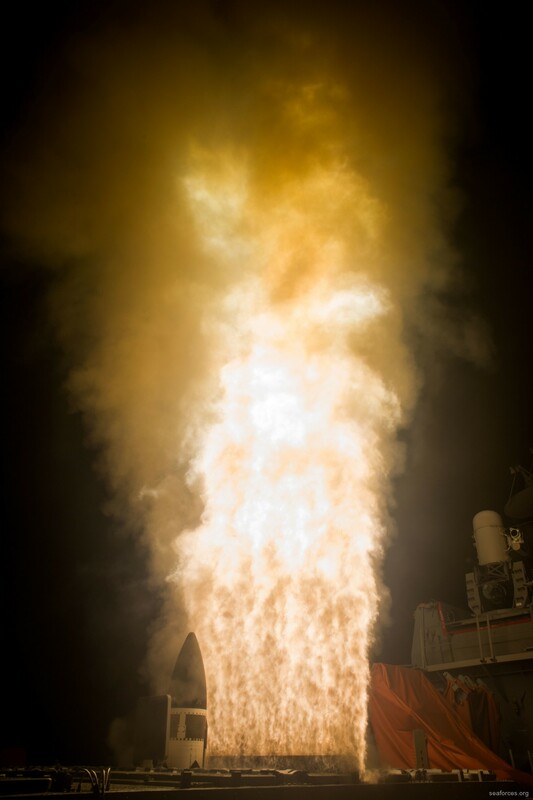 USS John Paul Jones (DDG 53) launches a RIM-174 Standard Missile-6 (SM-6 ERAM) during a live-fire test of the ship's AEGIS weapons system. 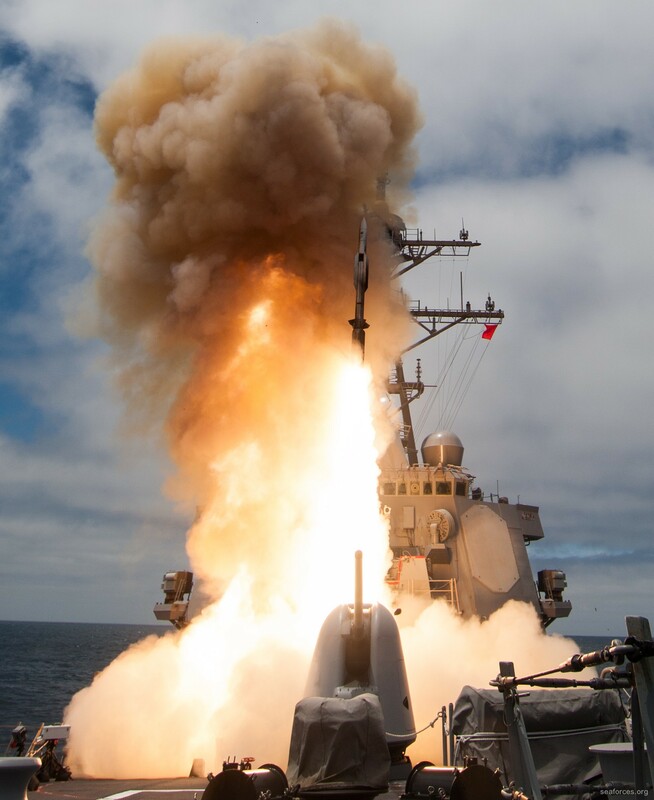 USS John Paul Jones (DDG 53) launches a RIM-66 Standard Missile 2 (SM-2MR) during a live-fire test of the ship's aegis weapons system. 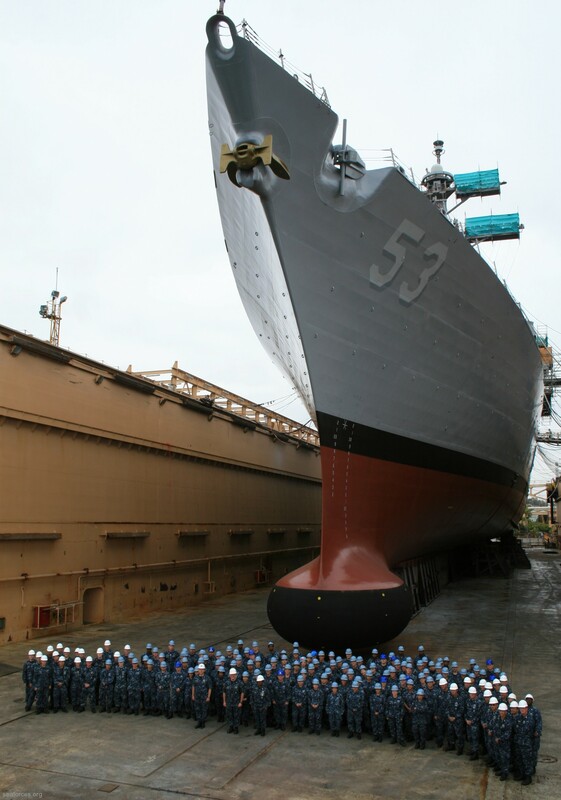 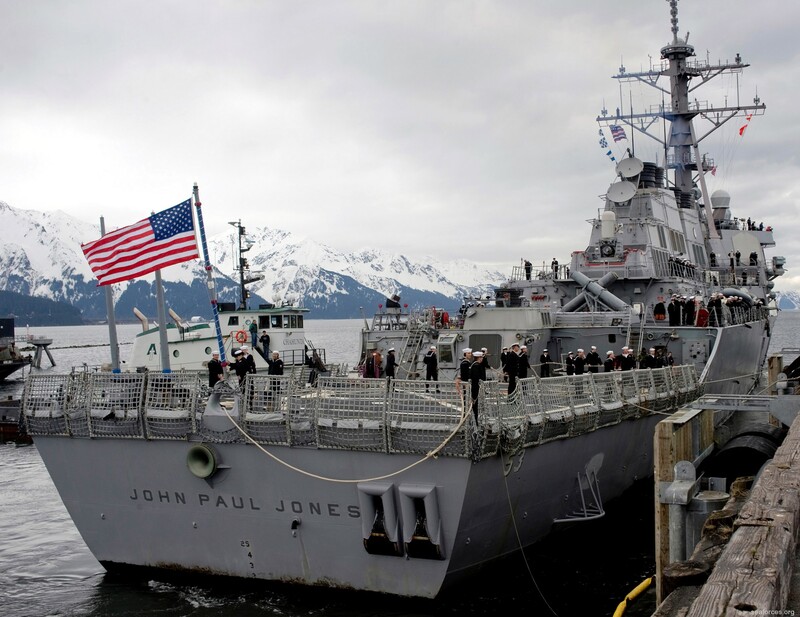 Sailors assigned to the guided-missile destroyer USS John Paul Jones (DDG 53) stand in front of the ship during its last day in dry dock. 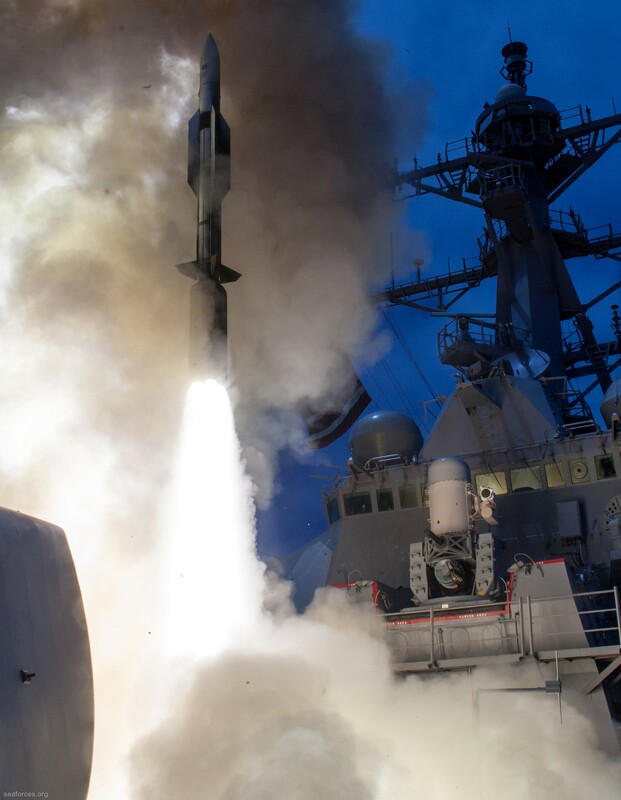 On 7 October 2001, John Paul Jones launched the first Tomahawk missiles into Afghanistan as part of Operation Enduring Freedom. 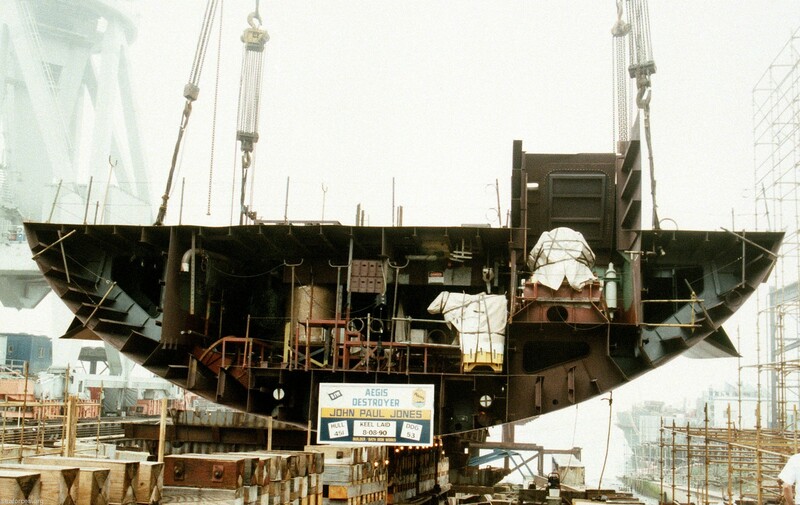 In June 2010 she began a ten-month yard period during which her machinery control system and many HM&E systems were upgraded. 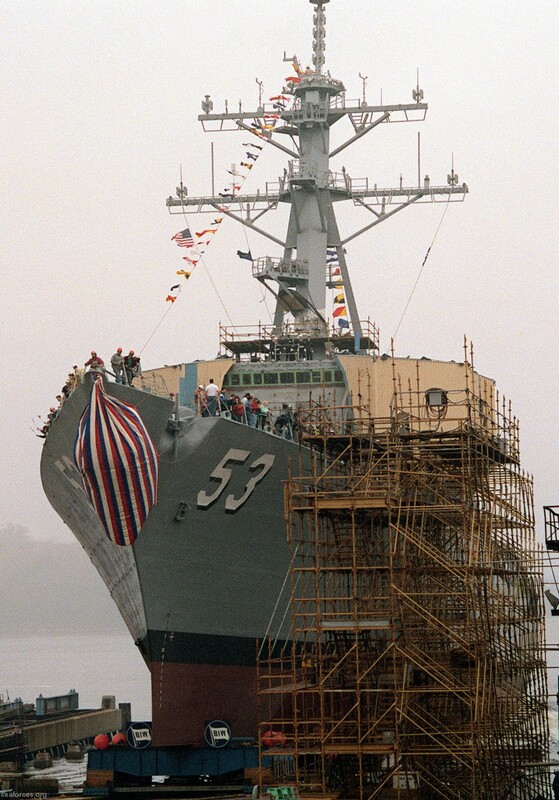 This was a first in class effort, similar to the CG-47 mid life upgrade undertaken on the Ticonderoga hull. 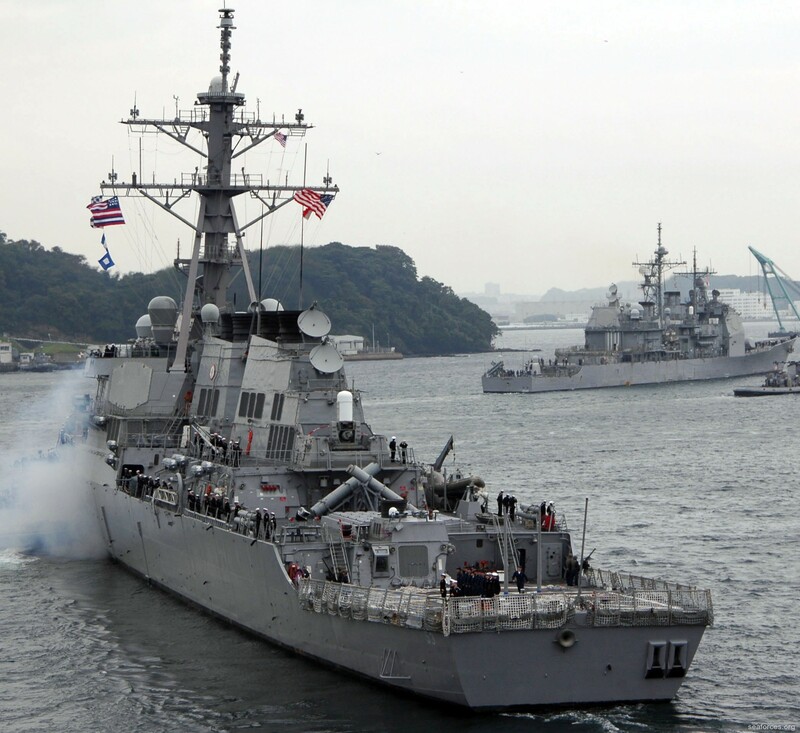 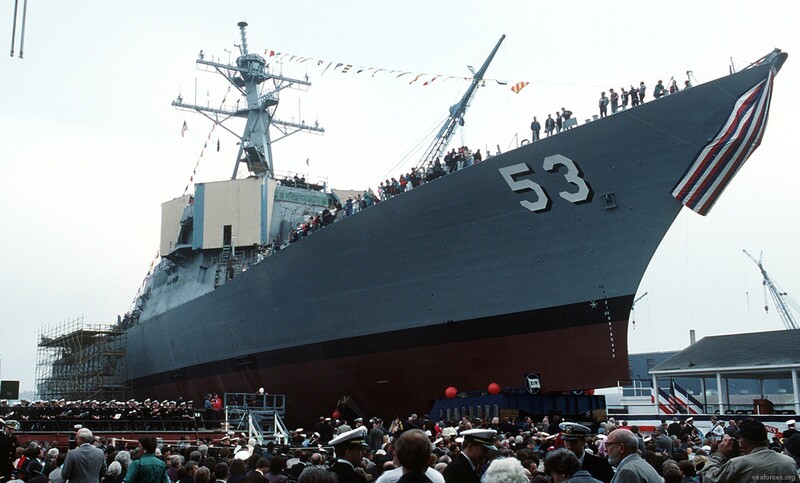 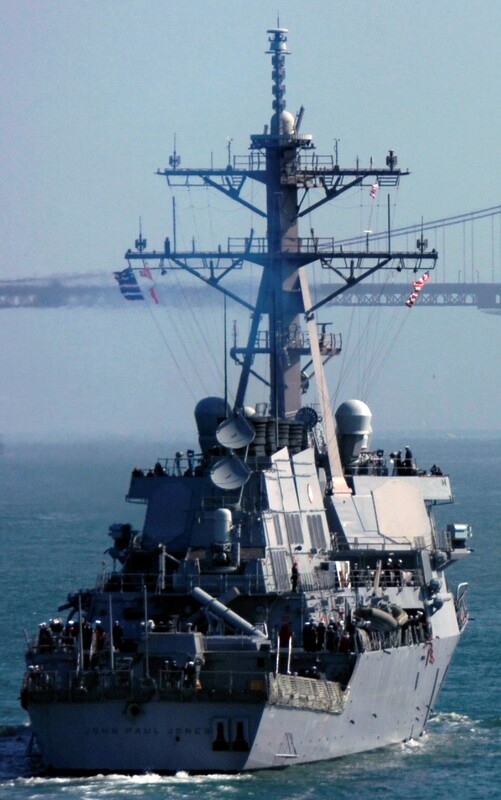 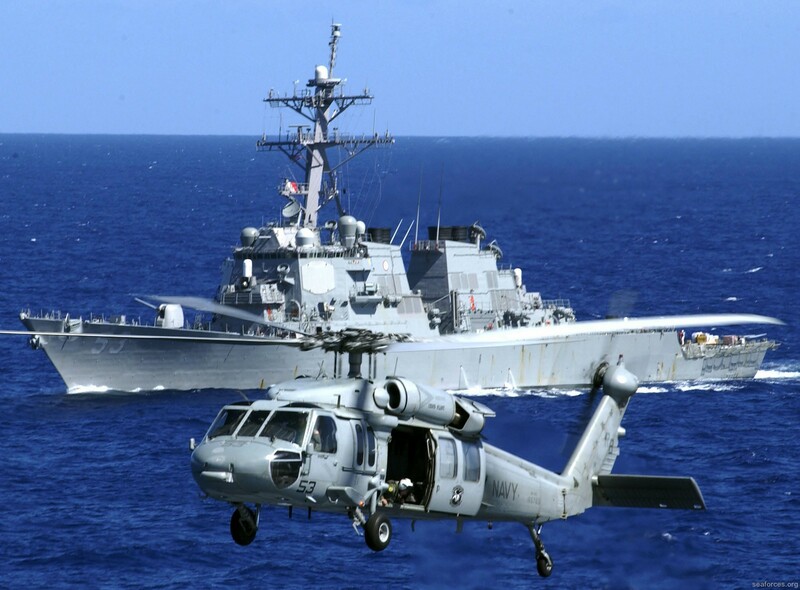 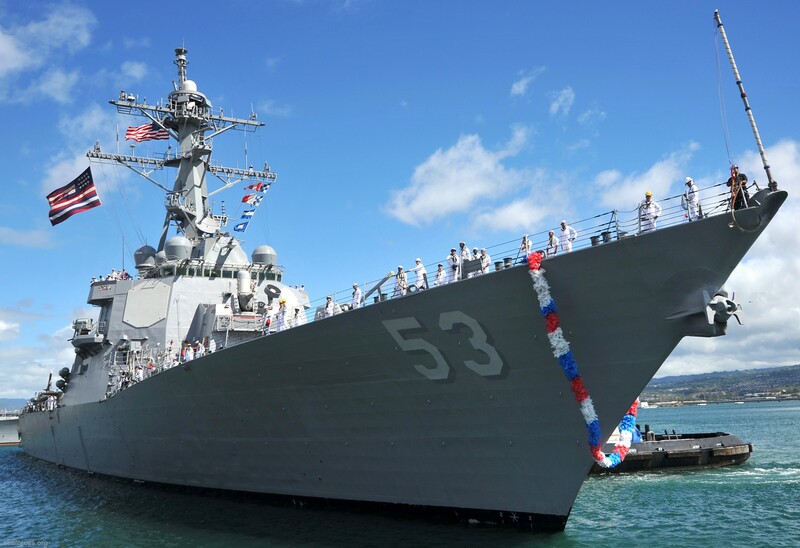 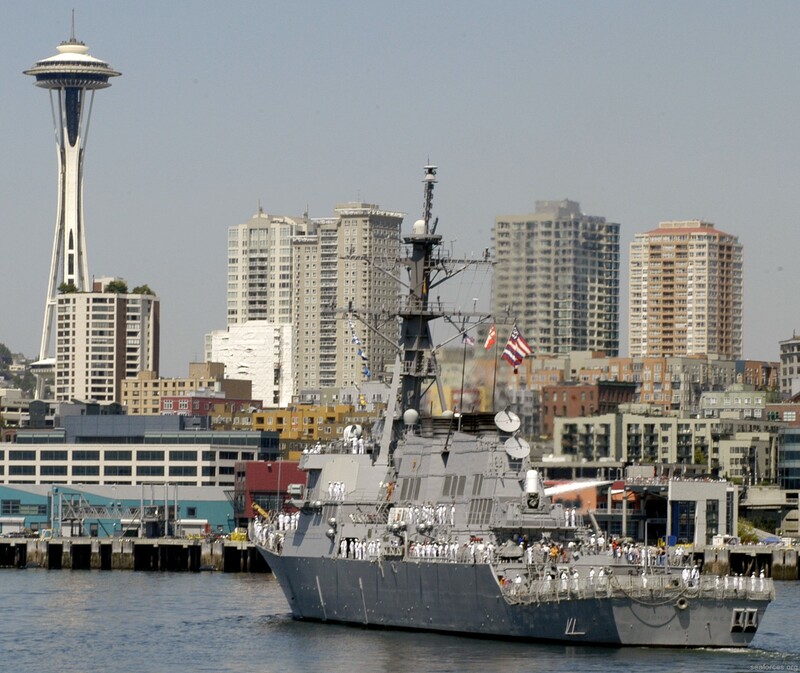 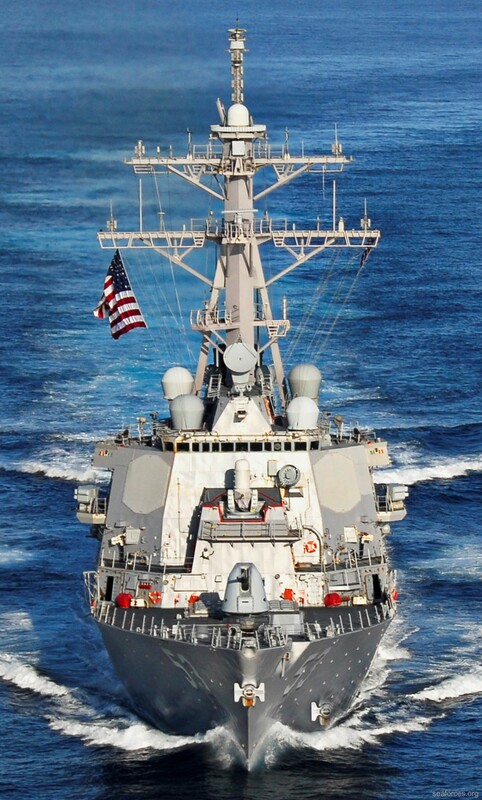 On 10 June 2011, she anchored off the coast of Malibu, California at the beginning of a three-day celebration called Navy Days designed to thank the sailors and their families for their service to the country. 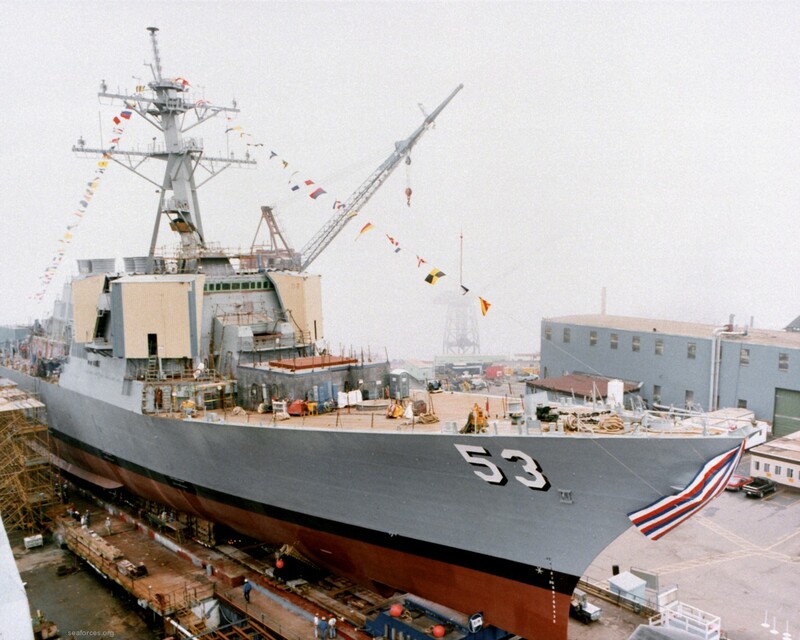 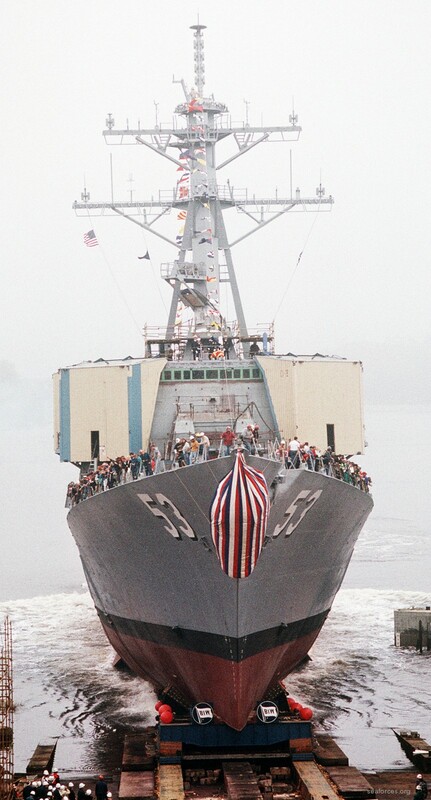 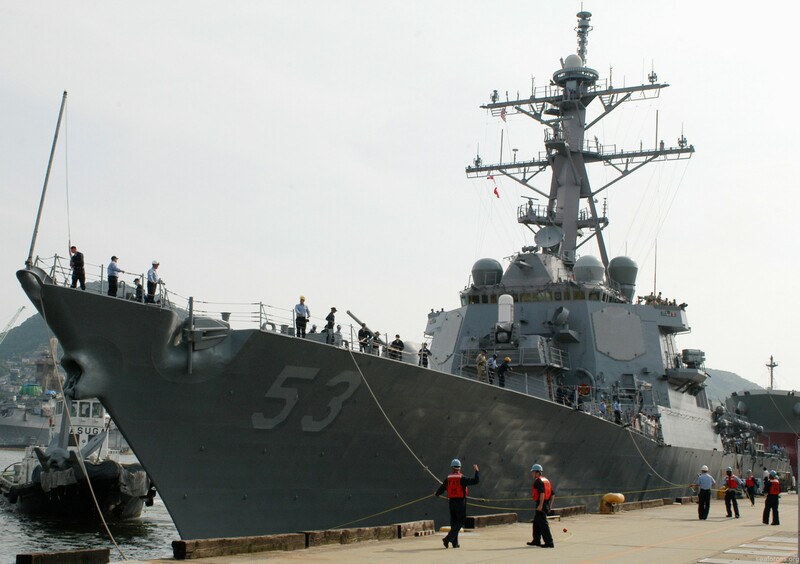 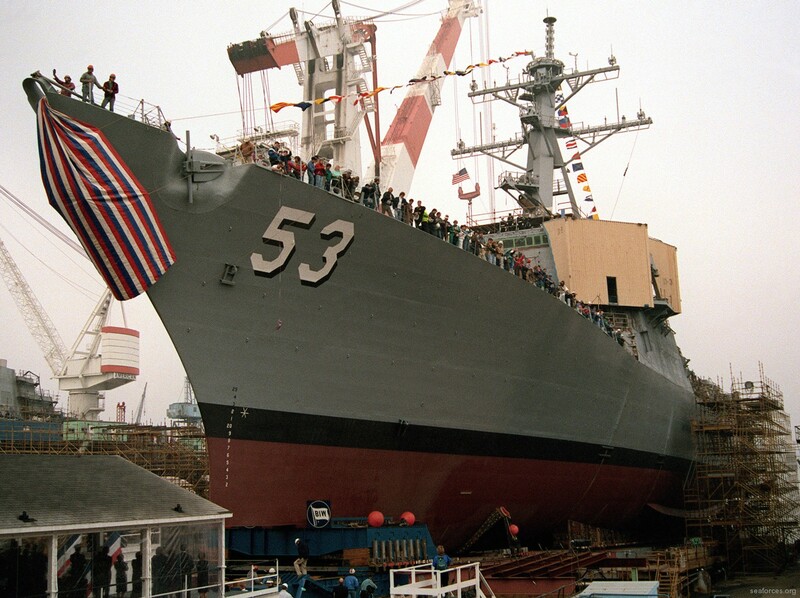 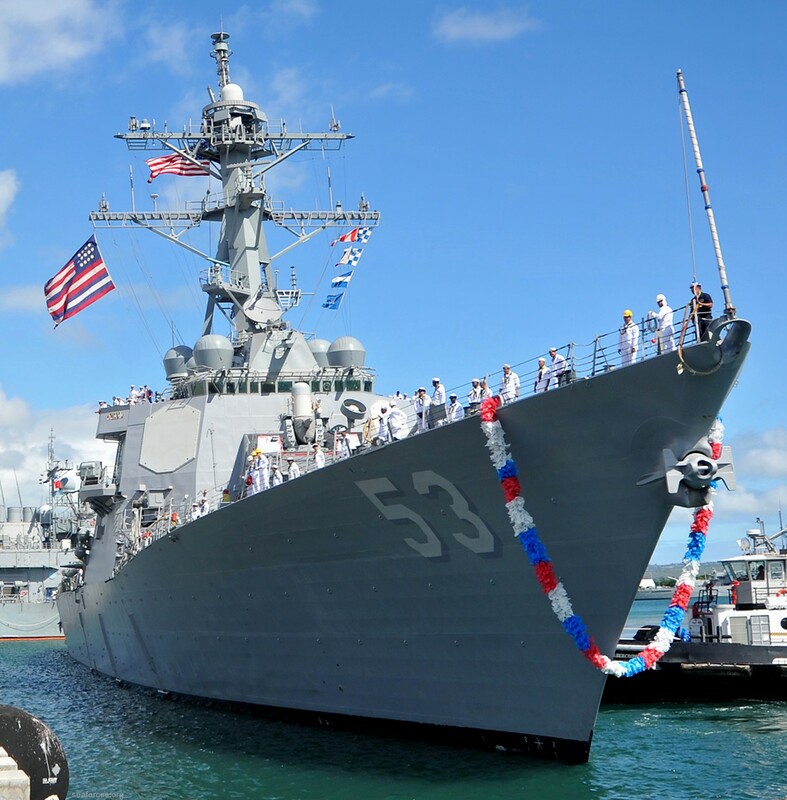 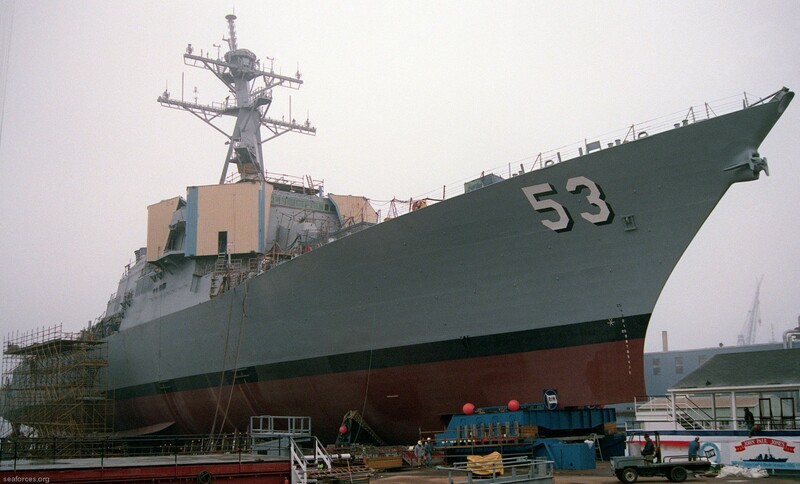 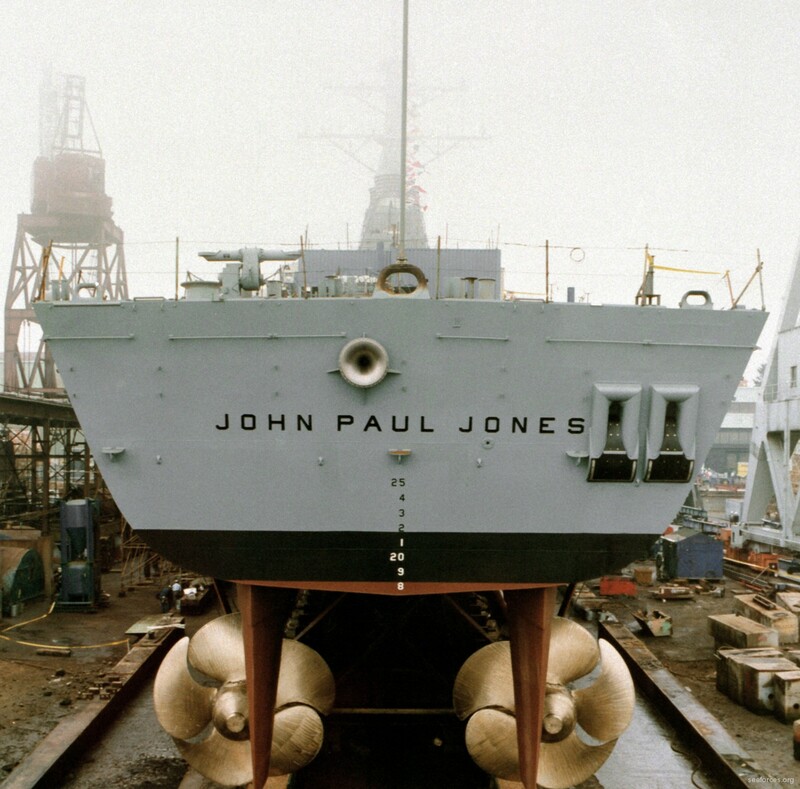 On 29 November 2011, John Paul Jones was the first ship to deploy after receiving the DDGMOD (HM&E) upgrade. 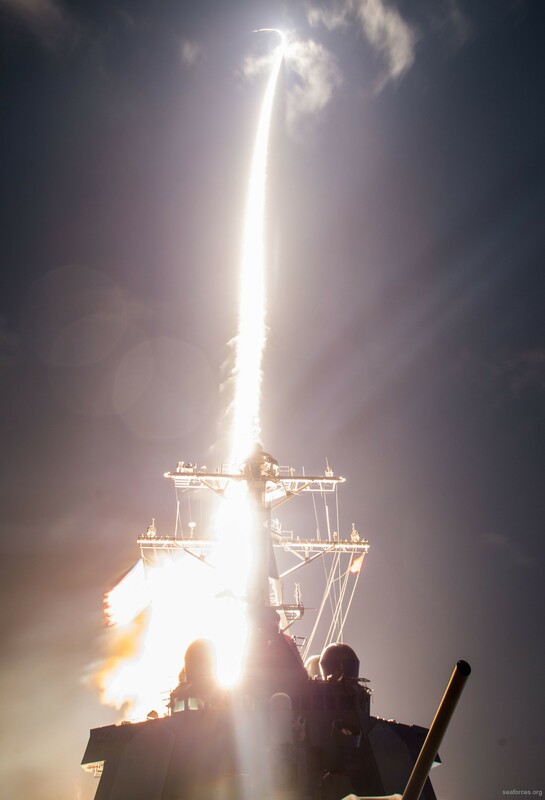 On 1 November 2015, John Paul Jones participated in Campaign Fierce Sentry Flight Test Operational-02 Event 2 (FTO-02 E2), a complex $230 million U.S. military missile defense system test event conducted at Wake Island and the surrounding ocean areas. 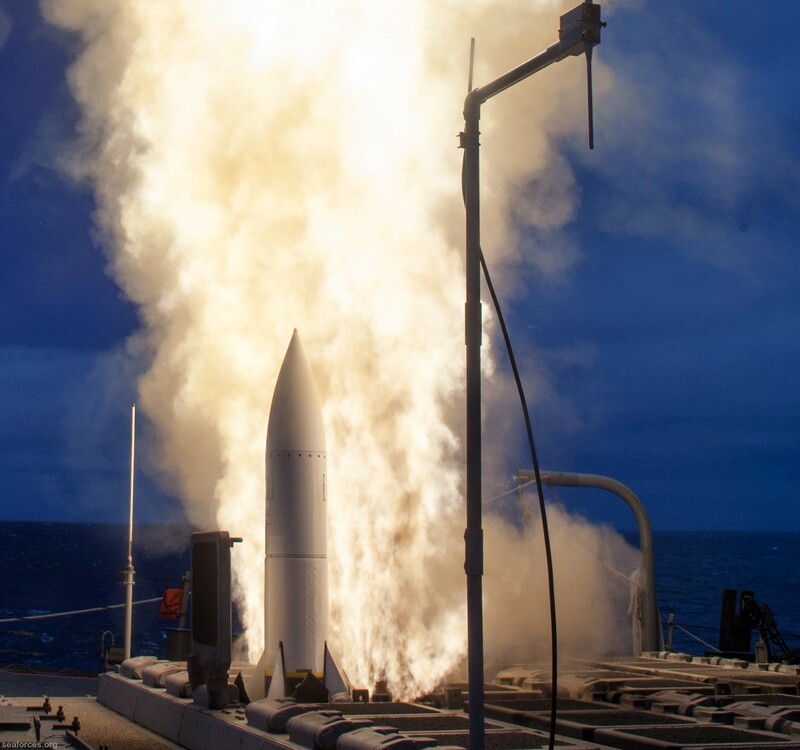 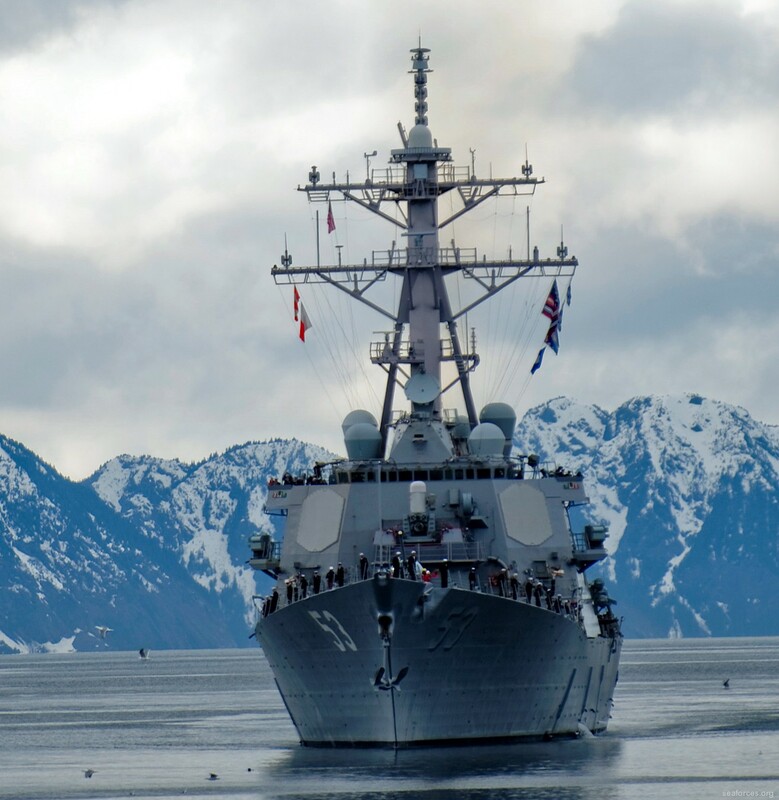 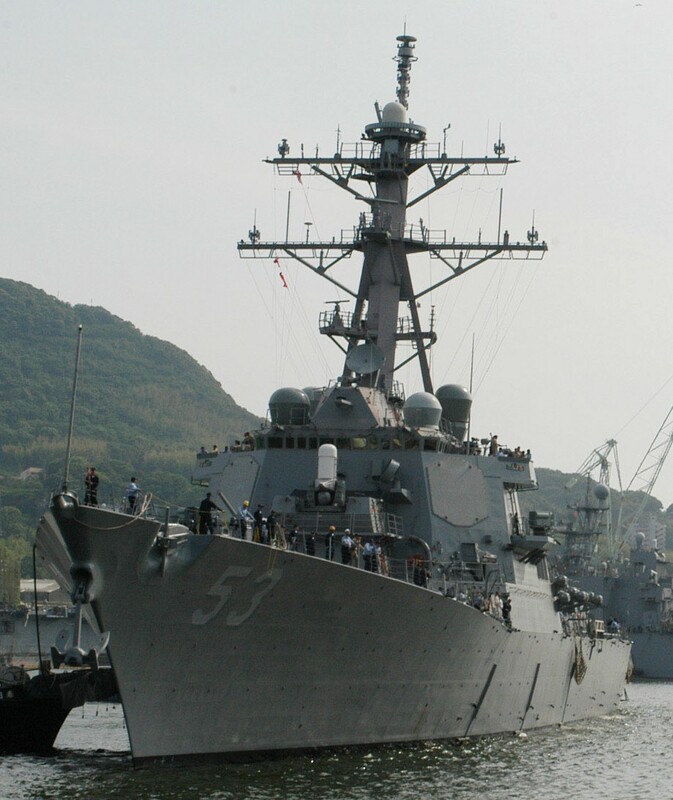 During the test, the destroyer shot down a simulated anti-ship cruise missile but failed to intercept a medium-range ballistic missile that was launched from a C-17 transport plane. 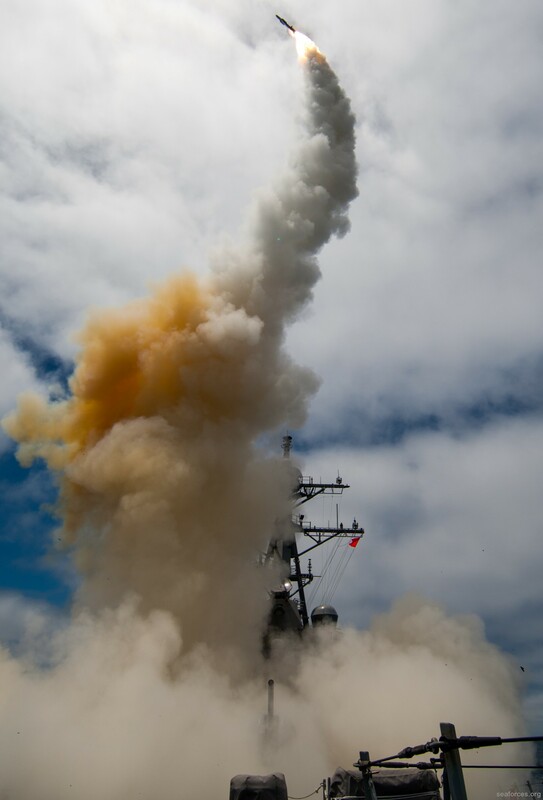 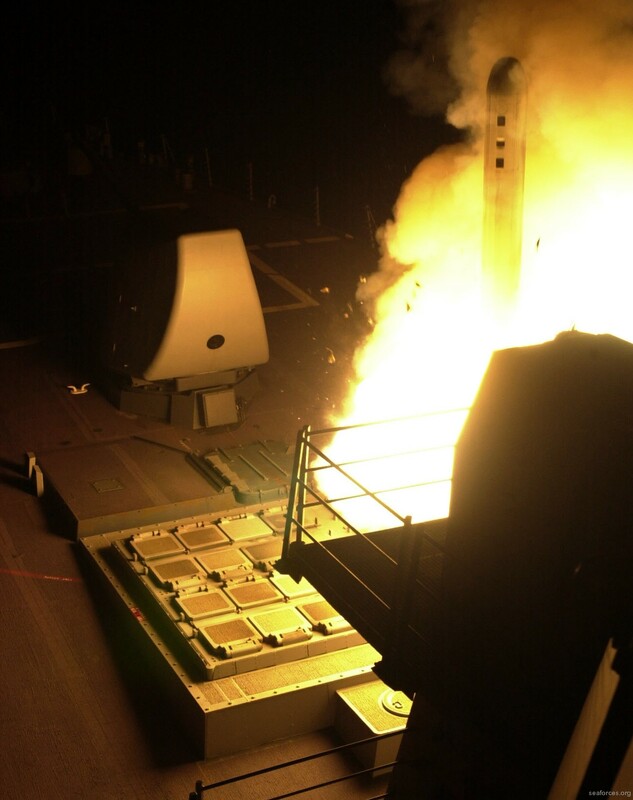 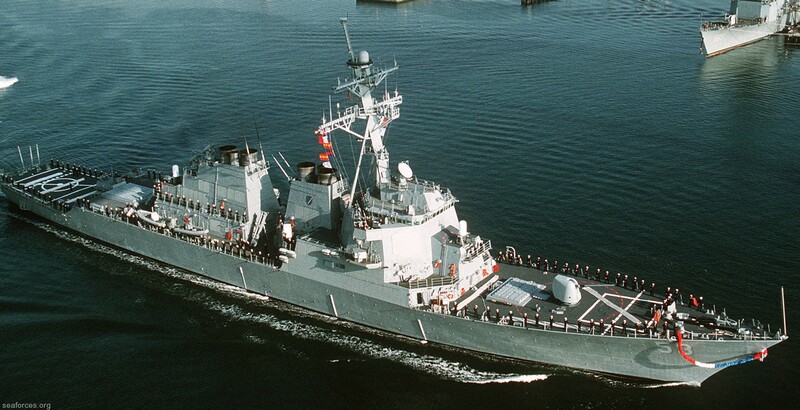 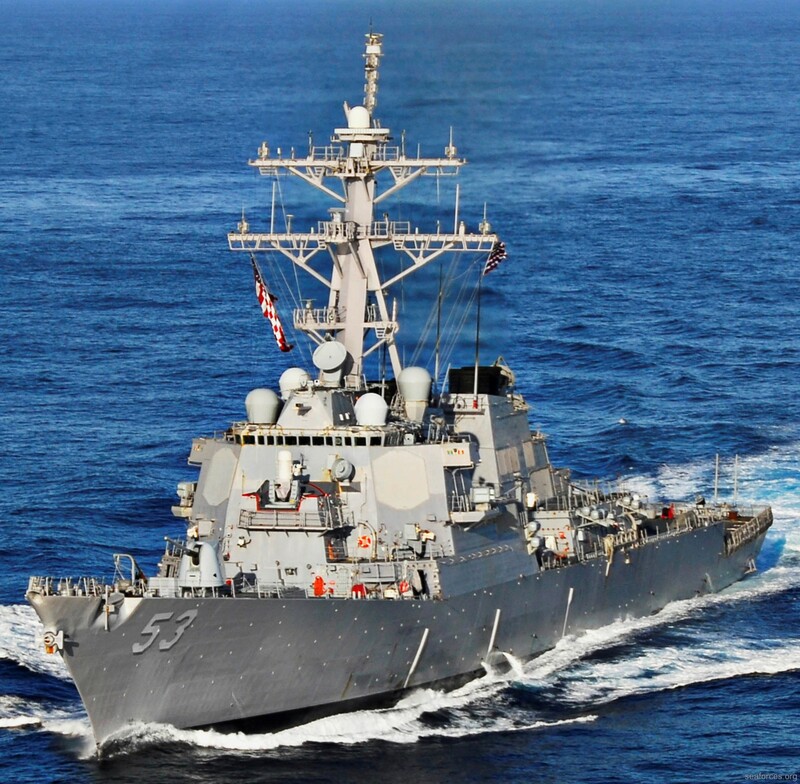 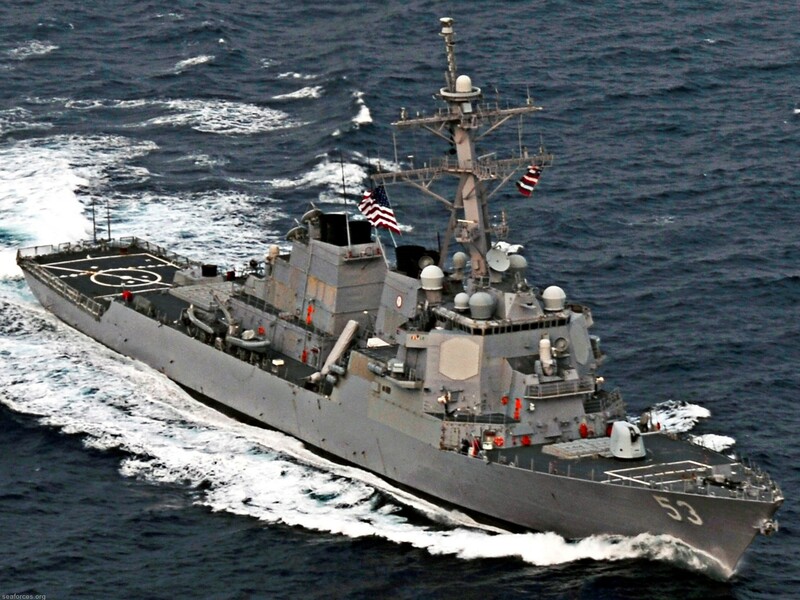 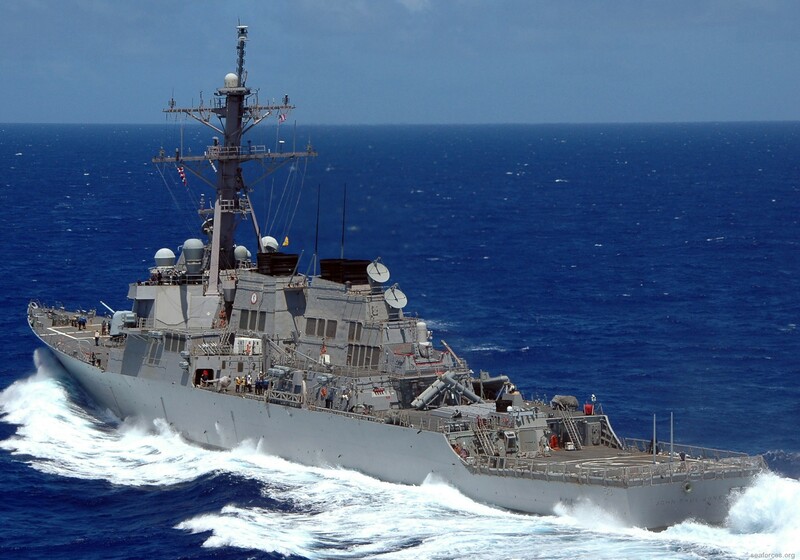 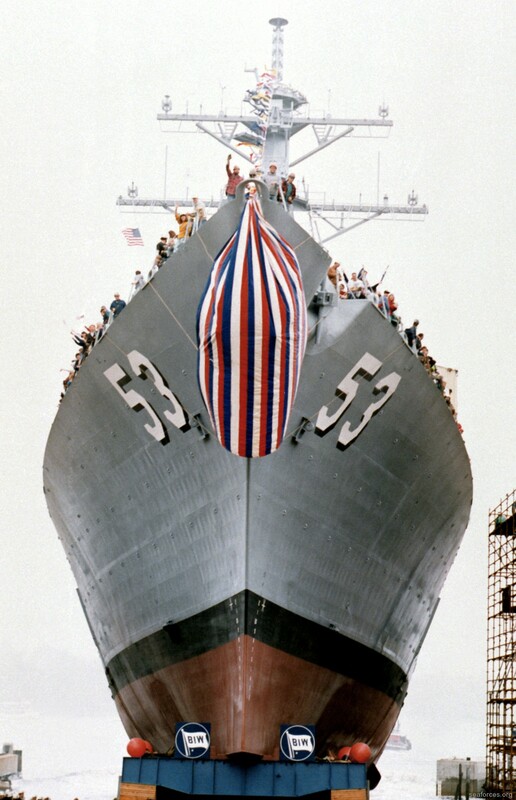 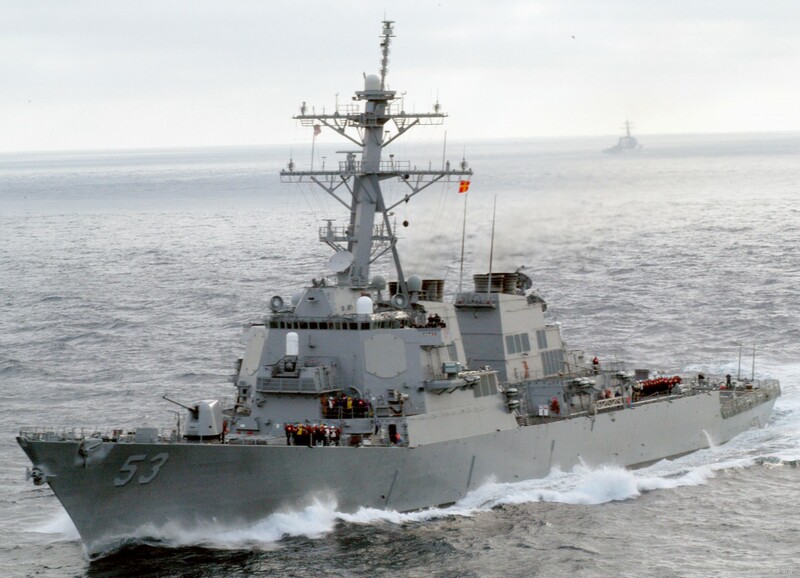 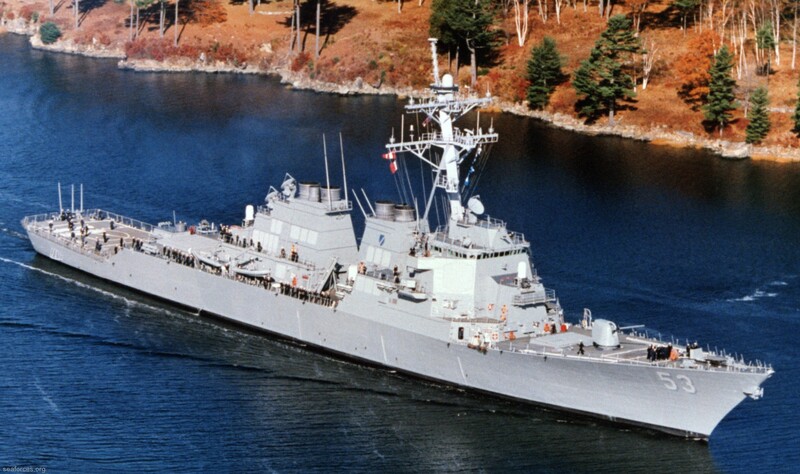 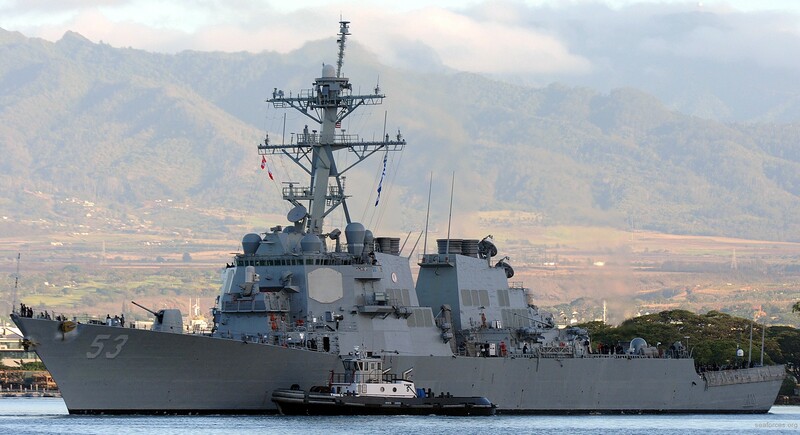 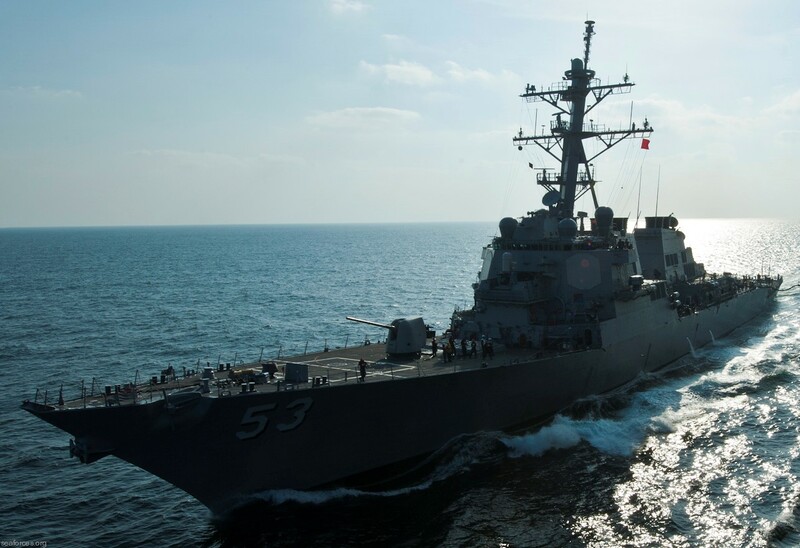 On 18 January 2016, John Paul Jones sank the decommissioned guided-missile frigate Reuben James in a test of a new anti-surface warfare variant of the Raytheon Standard Missile 6 (SM-6), becoming the first ship to sink a ship with the new variant of the missile. 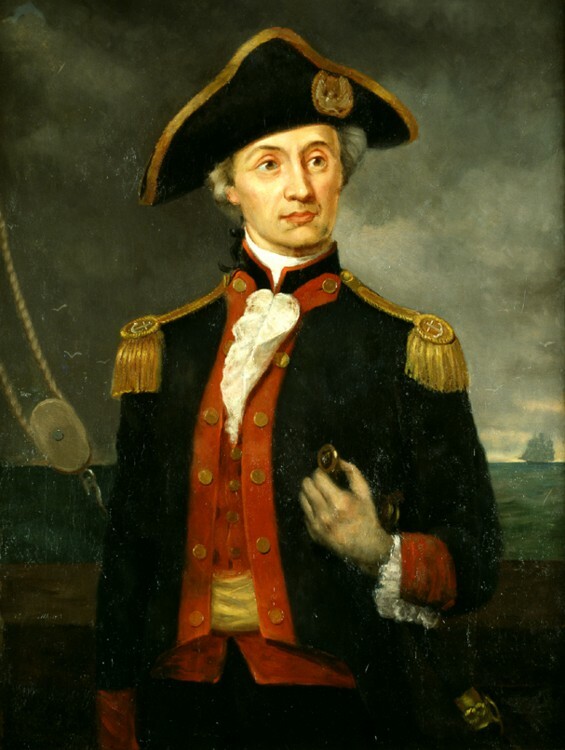 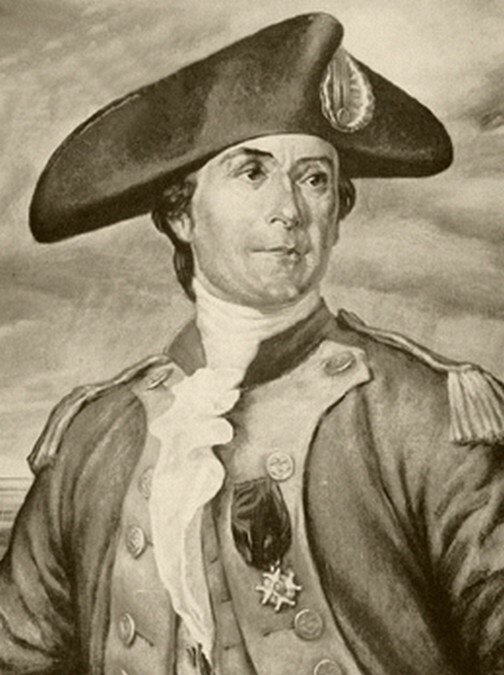 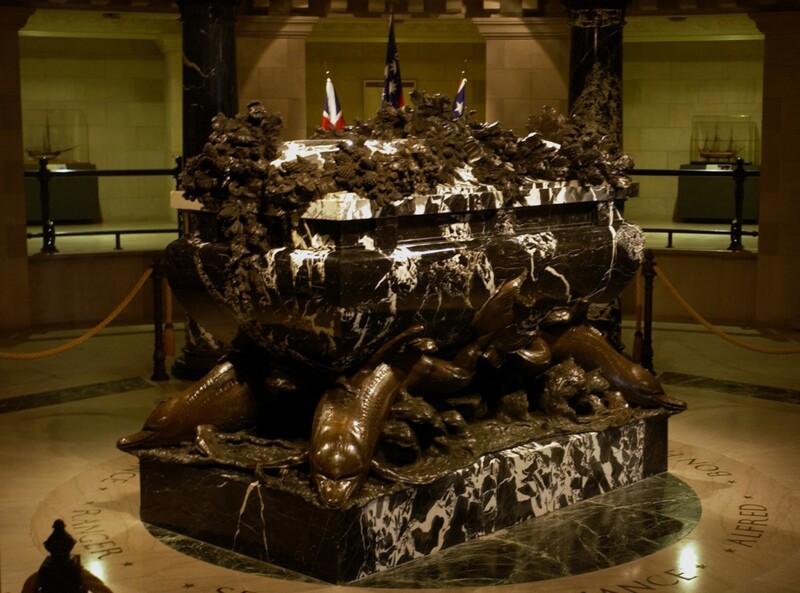 John Paul Jones fired the missile on the U.S. Pacific Missile Range near Hawaii. 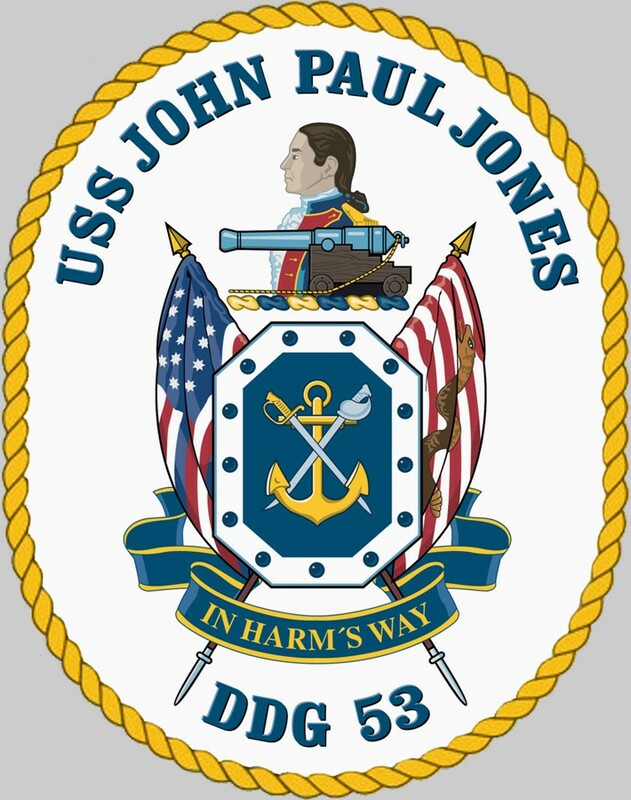 On 3 February 2017, John Paul Jones completed a ballistic missile intercept in a test off the west coast of Hawaii. 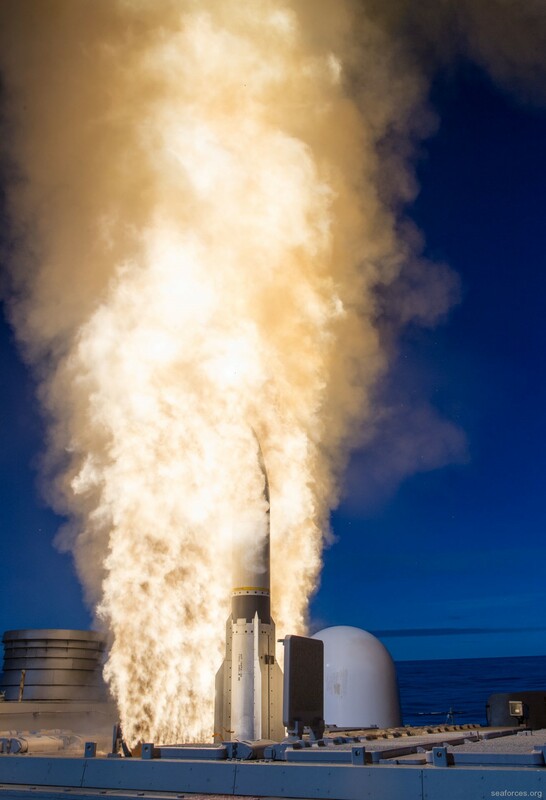 The test marks the first time that a ballistic missile has been targeted using the Standard Missile-3 (SM-3) Block IIA interceptor.